This week a basketball player revealed that his poor play may have been due to the first ever cell phone related pro-sports injury. A woman eavesdropped on a bad date and gained some notoriety from it and Google let us use one of their toys to make some absolutely crazy pictures. All of that and more in this edition of digital marketing news. Matt Bonner, three-throw king of San Antonio, had a rough year. He’s getting up there in age and his numbers were down. Everyone wondered, has Bonner lost his stride? Turns out he just had a nasty case of tennis elbow that kept him from making those buckets. The cause? Bonner places the blame firmly on his new iPhone 6. The darn thing is just too darn big and unwieldy. He had to stretch to hit his mark sometimes with his new device, leaving him sore and unable to adequately perform on the court. But what does it say about the ubiquity of the phone and the developed world problems that we can leverage using it? Someone went ahead and built a computer that is small enough to fit in our pocket and when you want to talk to someone else it will relay your communiqué from a satellite in outer space and back down to whomever you want to talk to. You can also check out the Internet on it. BUT BE FOREWARNED: You may have to stretch your fingers to reach some of the buttons which could in turn lead to a nagging pain in your elbow. Godspeed, Matt Bonner, we wish you the best of health and a fast recovery! When eCommerce and the real world collide, We get Treasure Trucks! This week Amazon released a new ploy in its effort to tackle a bit of the brick and mortar market as well as the digital marketplace that it dominates on. The numbers are in and rather than the death of brick and mortar that sensationalists predicted a few years ago, integration of the two shopping models seems like a more realistic future. Amazon created the Treasure Truck, an ice cream truck for adults that’s sure to see them running out of their offices and homes cash in hand and clambering over each other to get first picks of whatever goodies await in the truck. 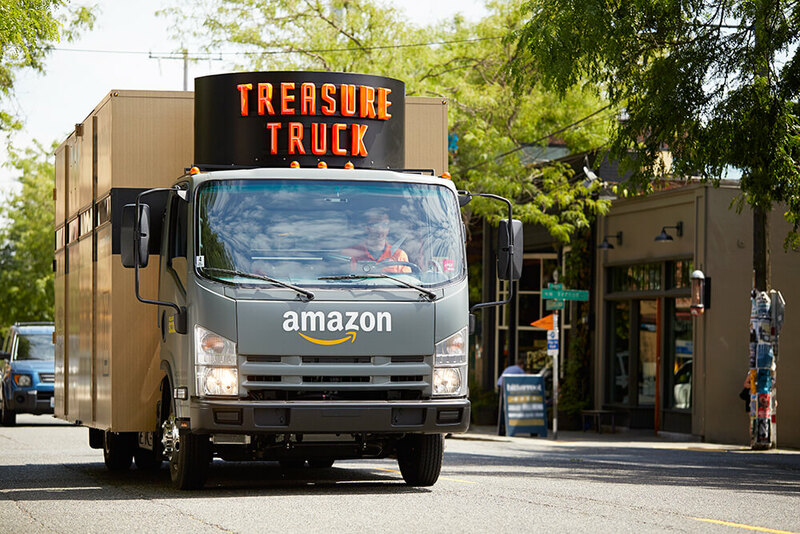 According to Amazon the Treasure Truck has been a hit in its first roll out in Seattle. It may not be the most practical integration of traditional and modern shopping methods but it’s a fun one. Will the public view it as a cheap gimmick or a shopping method with staying power? 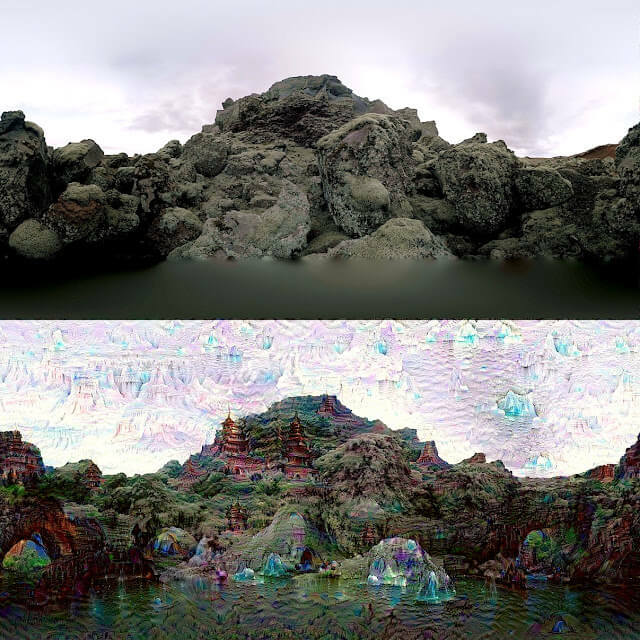 Artificial Neural Networks (ANN) are some far out things. What seems like it should have come from the pages of a William Gibson novel is actually a real thing. It is computer systems modeled after the central nervous systems found in nature. The ‘neurons’ in the network talk to each other and react according to the information that they gather. This week Google let the people of the Internet on to a cool thing that they accidentally discovered. Gizmodo calls them “'inceptionism' nightmarish images." Either way, you'll never sleep again. If you feed ANN a photo, it works hard to interpret what it’s seeing and is often amazingly off of the mark in its interpretation. In its struggle to make sense of what it’s seeing it adds features to the original photo. The results are like something from a psychedelic, trip out nightmare. In other words, they’re super-cool and the Internet is in love with it. Tune in, turn on, drop out and make yourself in to a thousand eyed monster-creature with a little help from Deep Dream. This week Toronto media picked up on the feel good story of a recreational softball team that uses social media like the pros. The Stinkmitts talk like all-stars and with mock up photos that look like they came straight from a press kit, the team has scored themselves a sizable group of Instagram fans that like, share and comment their support on every post. It’s an endearing story about the power of social media to bring people together. On the opposite end of the SM spectrum this week a woman live tweeted a bad date that was happening in a café beside her. Commenters found themselves divided on whether it was voyeuristic cyber-bullying or just a fun bit of content. The two stories stacked up beside each other present an interesting dichotomy of the power of social media for both good and evil. Also, of the transitory nature of it, as both stories are well by the wayside of public interest a few days later. What will we care about for a few minutes next?!? We thought that the rainbow filter would be The Book’s crowning equality achievement. Someone (quite rightly) noticed that the tiny pictograph that appears in the upper corner of the social media giant’s page featured representations of a man and a woman in silhouette. The problem being that the man was clearly in front of the woman in the icon, and the woman seemingly in the shadow of the man. No longer. The two appear side by side, in a rosy picture of two-dimensional harmony. A small change, but one for the better. Like pictures on cigarette packs, sometimes it takes a tiny thing to change a larger perception. *Legal made us say this. You're weekend trip starts with one click. Do it.